New Annual Catalog Shares are Here! I have all the details for my paper, ribbon, and embellishment shares ready. Note that I have included $7 priority shipping in each share. However, if you sign up for multiple shares, I will package your shares together as much as possible to save you on shipping. First up, the paper share. Here are the Stampin’ Up! videos showing all of our designer series paper. Sooo pretty! If you sign up for this paper share, you will receive 1/4 of each pack of designer series paper in the 2017-2018 Annual Catalog. This share includes 36 sheets of 6”x6” paper, 67 sheets of 6”x12” paper, 2 sheets of 6”x6” specialty paper, and 12 sheets of 6”x12” specialty paper. For additional details and to see how the share will work and sign up, click here. 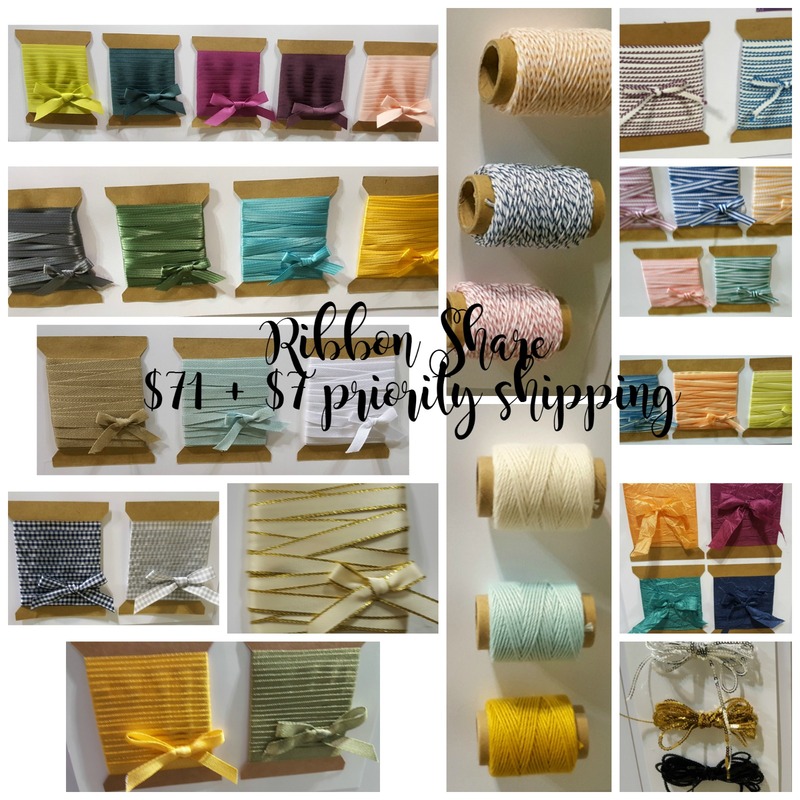 If you sign up for this ribbon share, you will receive 1/5 of each bolt of new ribbon and twine. This is 96 yards of new ribbon and 30 yards of new twine. For more details and to see how the share works and sign up, click here. 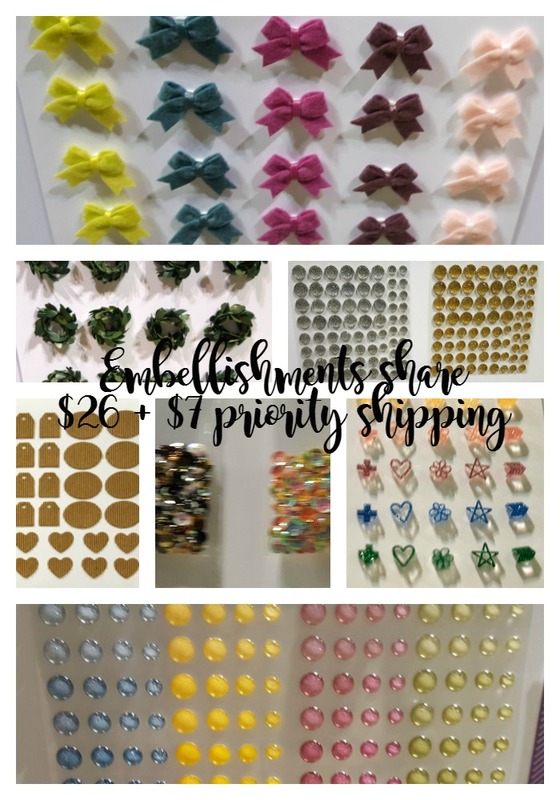 If you sign up for the embellishments share, you will receive 1/4 of each package of new embellishments. Two boxes of Bitty Bows are included in the share so that you will get two of each color of the bows. For more details and to see how this share will work and sign up, go here.